Irish extreme metal horde Overoth today reveal long awaited details for the follow up to their debut, Kingdom Of Shadows. 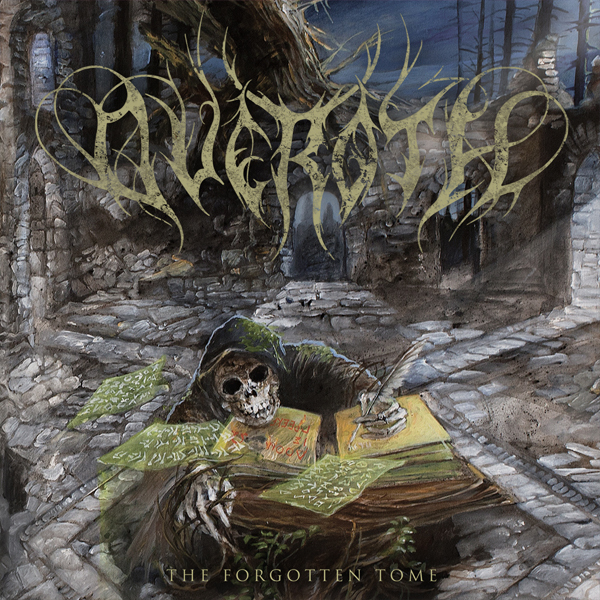 With no less than ten tracks and over 40 minutes of extreme metal laden with orchestration, and artwork from none other than Will Simpson (Game Of Thrones, DC Comics), the quartet’s forthcoming grand opus entitled The Forgotten Tome is set for release 22nd September 2017 via Hostile Media. The band recorded The Forgotten Tome at Sonic Forge in Wales with producers Joe Thompson and Mike Hourihan at the helm. The Forgotten Tome is set for release 22nd September via Hostile Media on CD, limited edition heavyweight vinyl as well as digitally. Album pre-orders and bundle deals available HERE.